A sensitive, specific, reliable and cost-effective tool for AML fusion gene detection. 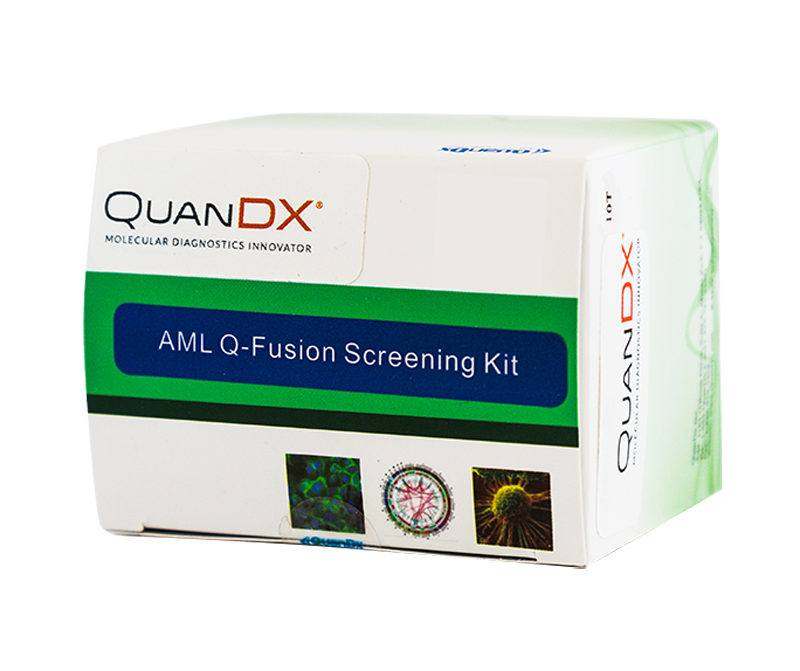 The ability to detect AML-specific fusion genes is critical in both clinical and research settings. 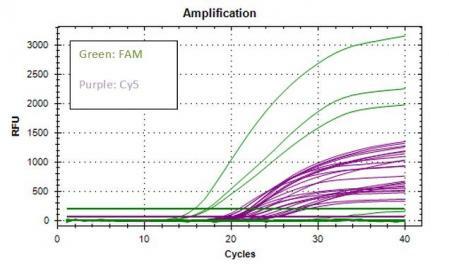 The AML Q-Fusion Screening Kit is a novel, multiplex, reverse transcription real-time PCR (RT-qPCR) system able to simultaneously detect 16 fusion genes, including PML-RARα L and PML-RARα S. Fusion and control gene transcripts are co-amplified in each reaction and identified by specific fluorescent probes. 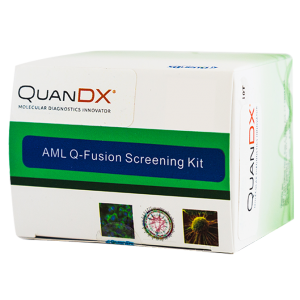 The Q-Fusion system provides a sensitive, specific, reliable and cost-effective tool that is easy to perform for the routine screening of leukemia fusion transcripts. Multiplexing: Allows simultaneous detection of 16 fusion genes with 72 breakpoints. 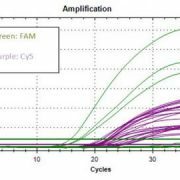 Compatibility: Test is compatible with most current real-time qPCR instruments. Rapid: Results can be obtained in 2-3 hours. Compatible with Bio-Rad CFX96, iCycler, ABI7500, Stratagene Mx3000P/Mx3005P, and other commonly used RT-qPCR machines.